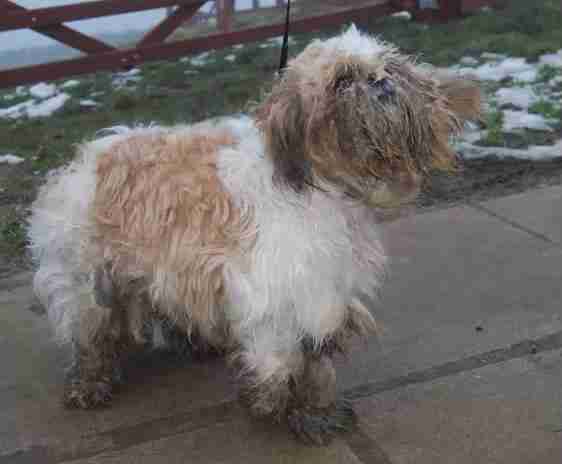 When Bentley the Shih Tzu arrived at the West Yorkshire Dog Rescue, he was hidden under piles of filthy, matted fur. The little guy reeked of gasoline and wouldn't let any humans touch him. 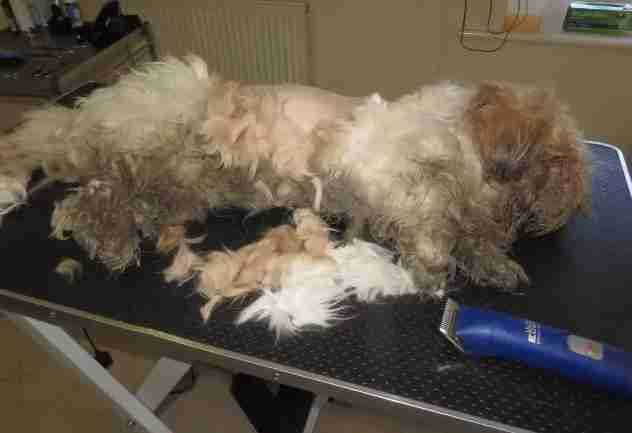 He needed to be groomed, but everyone knew it would take a while to undo all the damage his former life had left. 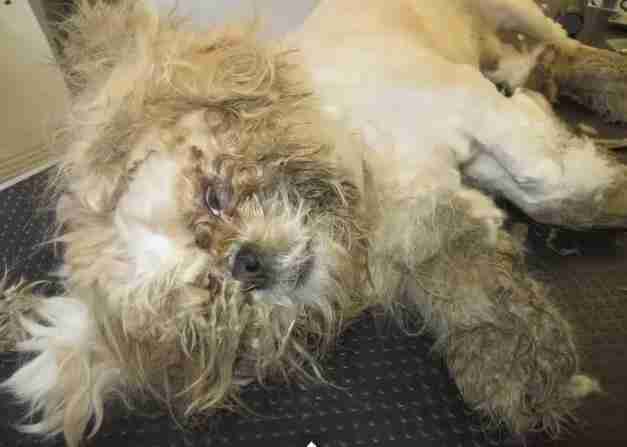 Poor Bentley had to lie on the table as the layers of filth and tangles were slowly removed. 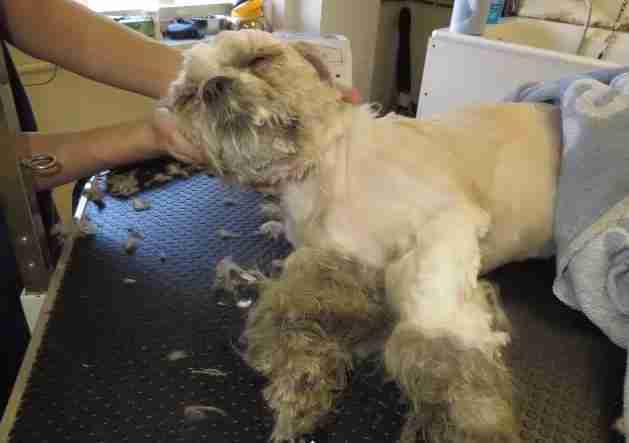 Gradually, the grooming revealed a sweet-looking puppy hidden under all the grime. 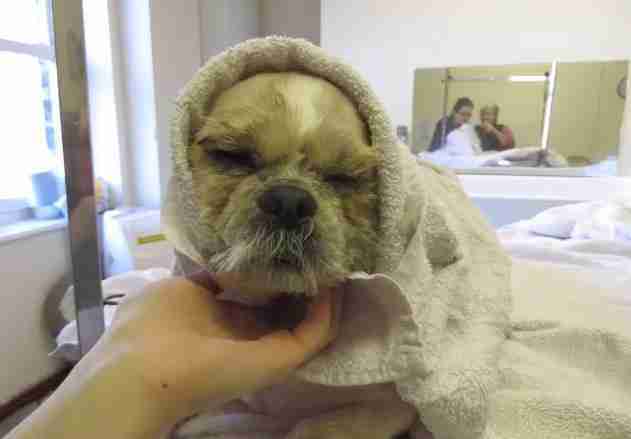 After the haircut, it was time for Bentley to have what very well might have been his first bath. 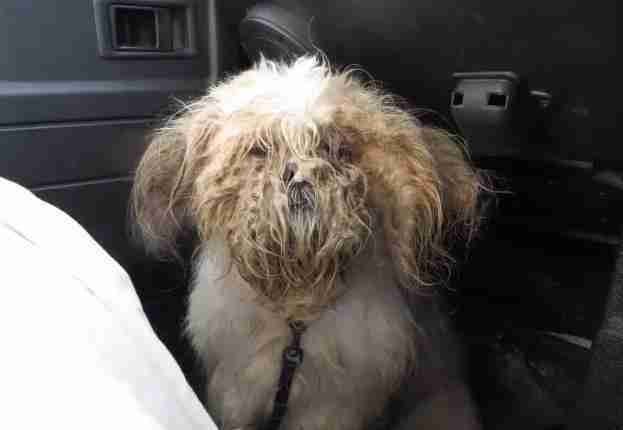 According to his rescuers, "It took four shampoos to get rid of the horrible smell." 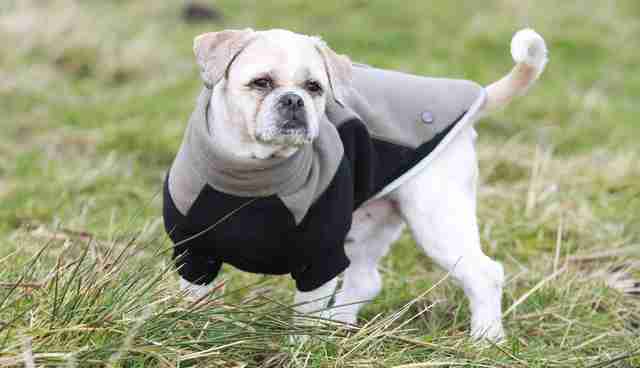 But once he was clean and dry, Bentley started enjoying life at his foster home as a brand new, healthy dog. Earlier this month, the rescue posted the happy news that Bentley found his forever family! 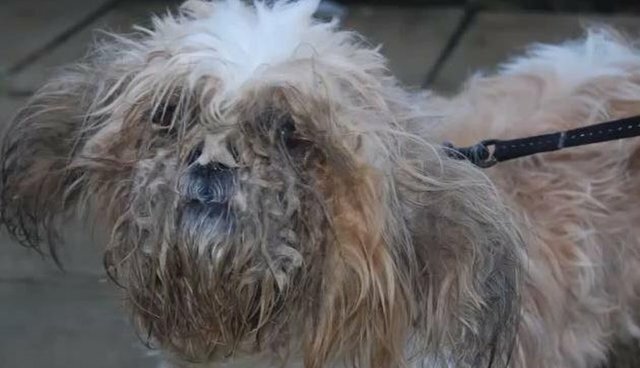 While the trauma of his past won't soon disappear, Bentley is learning that he is safe and loved. 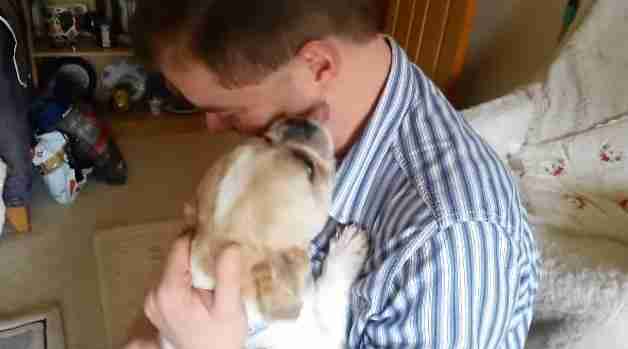 Here's the video of Bentley meeting his new forever family for the first time. Congratulations, Bentley! You deserve every minute of it!